More Customers. More Miles. More Savings. Increase MPG. Reduce Fuel Use. 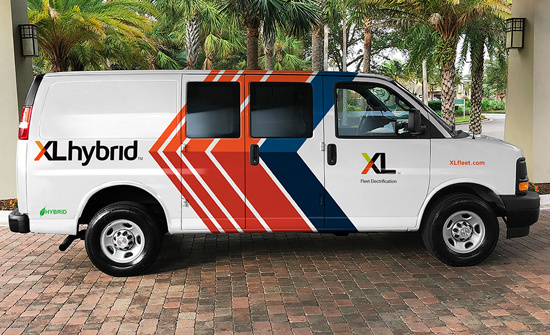 XL offers hybrid and plug-in hybrid electrification systems and on-board telematics for commercial and municipal fleets. The XL Hybrid system delivers a 25% MPG increase and a 20% reduction in CO2 emissions for Class 2-6 fleets*. Available on major OEM platforms, including Ford, Chevy, GM and Isuzu. The XL Plug-in system installs seamlessly onto Ford F-150 and F-250 pickup trucks, delivering a 50% MPG increase and a 33% reduction in CO2 emissions*. Performance, meet sustainability. XL Link provides fleets with actionable intelligence on their vehicle electrification metrics and emissions reduction summaries. It also alerts our service team if there's an issue. Fleet-Ready™ hybrid solutions for Class 2-6 fleets. Our XLH® Hybrid Electric Drive System and the XLP™ Plug-In Hybrid Electric Drive System are Fleet-Ready™ solutions that help commercial and municipal fleets lower operating costs and meet sustainability goals. XL is leading the fleet electrification industry in customers, miles driven, and overall environmental impact. What will your numbers be? 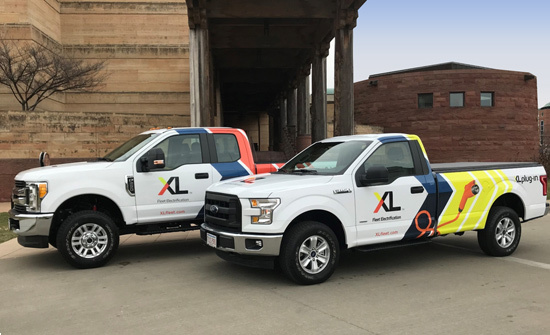 XL was Ford’s first eQVM partner, offering the world’s first hybrid electric F-250 and plug-in hybrid electric F-150 and F-250 pickup trucks. Now you can enjoy the same legendary F-series performance with better MPG and reduced emissions. 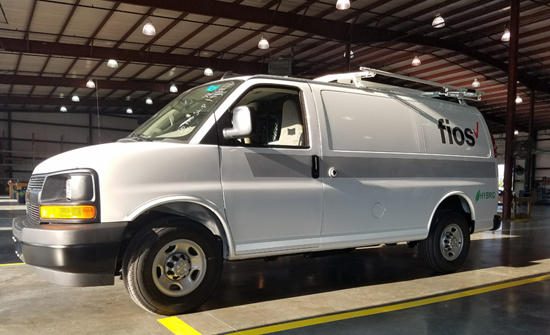 XL hybrid electric upfits are available on a wide range of Ford/GMC/Isuzu Class 2-6 vehicles. Whether you’re hauling people, tools or freight, XL’s hybrid-upfitted trucks, vans and buses will get you there with less gas, less cost and less impact on the environment. 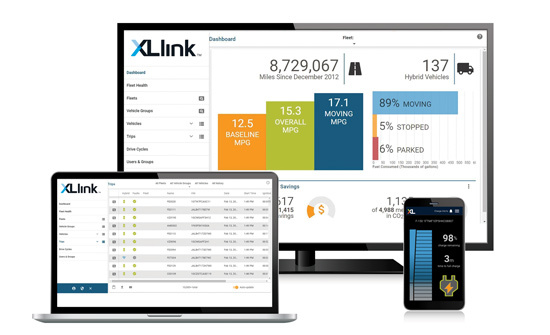 XL Link, our cloud-based vehicle connectivity platform, offers the most accurate MPG measurement in the industry. Collecting millions of operational data points, XL Link provides actionable insight on key vehicle and sustainability metrics. All XL systems are Fleet-Ready. That means you’re getting all the financial and sustainability benefits of an electrified drivetrain with none of the performance losses, range concerns, or infrastructure limitations of an all-electric system. Best of all, the OEM warranty stays intact.